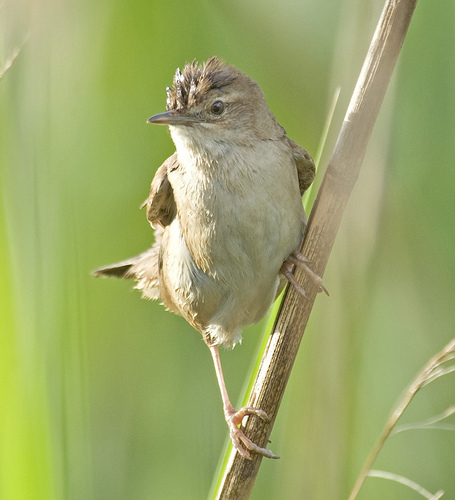 The Savi's Warbler is a reed bird, which looks a lot like the Reed Warbler. Fortunately, its song is quite different: a long trill. 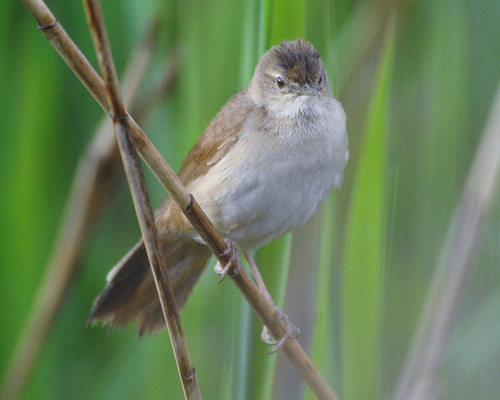 The Savi's Warbler has a plain brown colour. The Grasshopper Warbler is striped on the back. Particularly the songs are totally different; a Savi's Warbler sings with a monotonous trill.